Here’s a situation where we got a great image from Jon Foster but...Marketing felt it was missed the steampunk mark a bit. I hated to admit it, because it is a great painting, but it does feel too solidly placed in actual history. So, giant steam robot to the rescue! And through the wonders of the internets, the first still gets to live in the world. 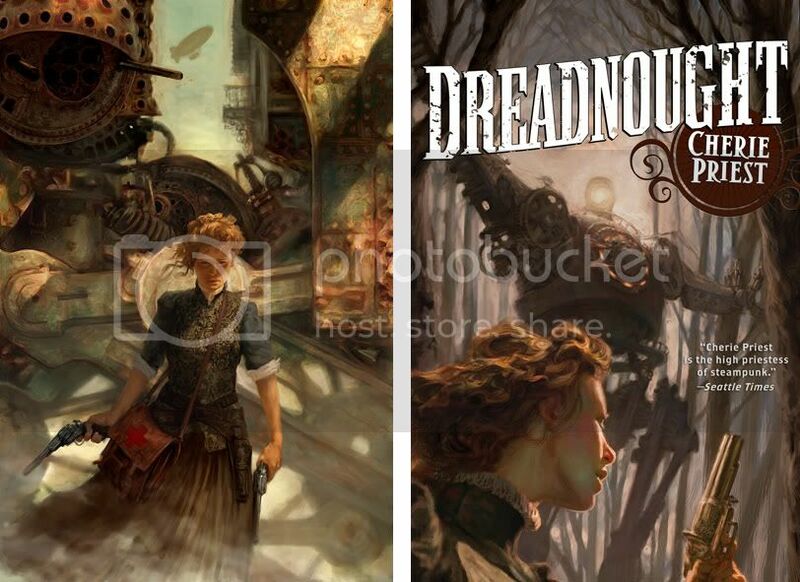 For Cherie Preist’s Dreadnought, sequel to her Boneshaker. You can see another Foster-Priest collab set in the same world on Clementine, published by Subterranean Press. Shaun Tan’s The Lost Thing trailer. In word, awesome! Shaun Tan’s fifteen minute animated adaptation of his book The Lost Thing—the story of a boy’s empathy with a lost, er, thing and his attempts to help it find its place—is completed and making the festival circuit. If anyone gets a chance to see it, please report back! I’m dying to see it. In the meantime, anyone else as in love with Shaun’s work as I am can play around on thelostthing.com.There are character studies, color keys and production drawings to see. And if that is not enough, check out this 5 minute documentary on the movie.